The first movie shot of “From the Alps to the sea” has just been completed: the film produced by M.I.T.I. and created by the Jolie Advertising agency translates the company’s #greenperforming philosophy into spectacular images. The first of the three episodes of this journey through nature, from the mountain peaks to the Mediterranean coasts, is set in one of the most unspoiled and enchanting areas of the Southern Alps: the Maira Valley in Cuneo province, in the Unerzio Valley and on the highland plateau of the Gardetta. Wild and remote places in which the natural surroundings are breathtaking yet extremely challenging, especially in the heart of winter. So much so, that the film shot was a decidedly challenging operation engaging a team of eight people for three days. On top of this, a typical day’s work, scheduled in such a way as to optimize light conditions, consisted in a 5 am morning call, a 6 am departure from the refuge and transfer in the dark illuminated by forefront lights, shooting of the various scenes from 8 am to 4 pm (with changes of position and equipment according to the ground conditions and the subject of the shoot) and return to the refuge at dusk. 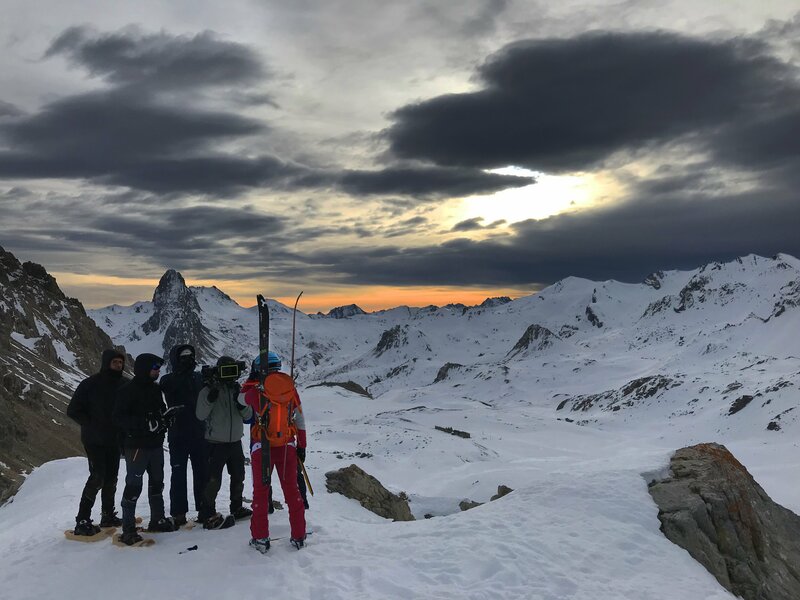 An extremely strenuous schedule that was more than compensated by the extraordinary emotions given by the mountain views – particularly in the dawn light – which are distilled in the images of the film. The main character of the entire project is Italian blogger Tatiana Bertera, chosen not only for her sports talent but also because she is extremely natural and versatile in the way she approaches all the sports activities involved in the trip “From the Alps to the sea”. 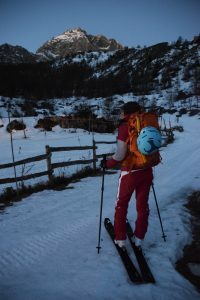 The connective thread of the first episode is mountain skiing, a sport in which fabric performance plays an essential role: for this reason, the project has engaged the collaboration of the well-known outdoor wear manufacturers Maloja and Karpos, who use #greenperforming solutions by M.I.T.I. 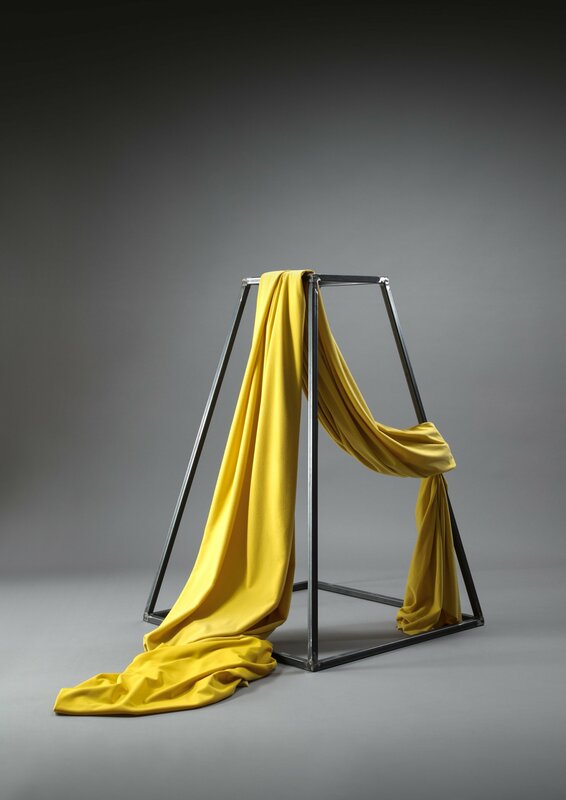 in the production of their garments. 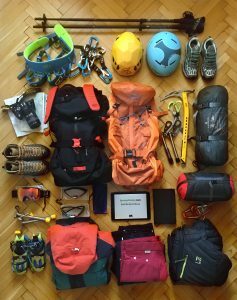 They are flanked by a high profile pool of partners specialized in technical equipment: Briko, Climbing Technology, Ferrino, Grivel, Salewa, Salice and Ski Trab. However, this is just the first lap of the #greenperforming journey: there will be two more episodes before we reach the sea, all strongly featuring adventure, nature and sport. 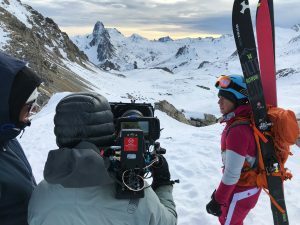 The movie will be presented at the forthcoming edition of ISPO, in February, and will also be distributed online and through the social media.